Located at 1130 Sevier Ave., just a half mile from Hillwood Villas, the owners of Alliance Brewing have stuck to two main principles: drinkability and “Active Beer Culture.” They know that good craft beer generally has a few more calories than regular beer, so they say if you drink it you should earn it. They back up this statement with various deals and events, like $1 off on Thursdays for trail runners and a partnership with the Appalachian Mountain Biking Club. The are open Tuesday thru Sunday. Setting up shop in October of last year just about a football field’s length from Suttree Landing Park and less than a quarter mile from Alliance Brewing Company’s home on Sevier, Trailhead Beer Market was one of the very first businesses to take advantage of South Knox’s newfound popularity. Occupying a building at 1317 Island Home Ave. that in the past housed several sketchy dive bars, Trailhead breaks the mold, offering an extensive array of quality craft beers available for consumption both on and off-site. Thanks to the careful guidance of co-owners Joe Jennings and Kathy Wright, it has quietly but quickly established a still-growing reputation as the community’s best neighborhood bar. 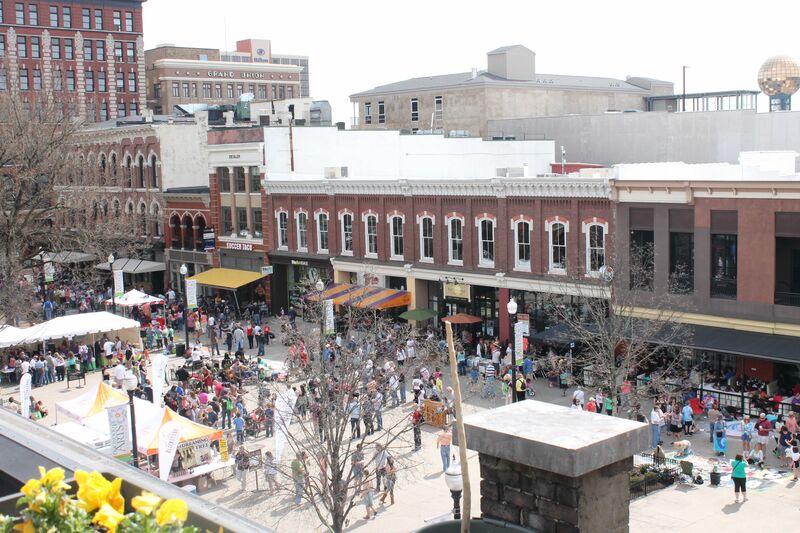 Knoxville’s Market Square is host to an eclectic blend of culinary delights, has a variety of stores to suit your shopping needs with friendly merchants ready to assist you and features two water play fountains for the kids. Market Square is adjacent to the scenic Krutch Park. 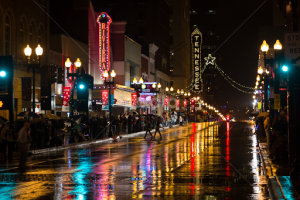 Whether you are bringing your children down to play in the fountains while you shop the Market Square Farmers Market, or bringing your sweetheart downtown for a romantic dinner and evening at the theater, you’ll find something for everyone. Market Square District is alive with music, performers, niche shops and gallery walks on the First Friday of every month. We are host to the International Biscuit Festival, First Night Knoxville and lend our support to Shakespeare on the Square, Hola Festival, Sundown in the City, Dogwood Arts Festival and other special events that make downtown Knoxville such a unique and enjoyable place. Originally a warehouse district in the mid 1800s, Knoxville’s Old City has become a must visit entertainment district for locals and out of towners alike. A 1 minute walk from Marble Alley, The Old City is home to Nationally recognized restaurants such as “The Crown and Goose”, “OliBea’s”, and “Barley’s Tap Room” The Old City is also a place to let your hair down. From the sophisticated vibe of “Carleo’s Nightclub” to the boot scootin’ twang of “The Wagon Wheel” you’ll be able to find the sort of nightlife that wets your whistle. 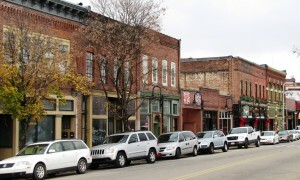 Just one block away from Marble Alley, Gay Street is home to both business and entertainment. Lawyers and bankers in suits and ties rub elbows with students, artists, and entrepreneurs at Gay streets many restaurants and nightclubs. From one end of Gay street to the other, you’ll find an amazing assortment of food, drink and fun. Highlights include: Clancy’s Irish Pub, The Downtown Grill and Brewery (beer brewed on premises), Sapphire (a New York style martini bar), Mast General Store, Holly’s 135 restaurant, along with art galleries on every block.